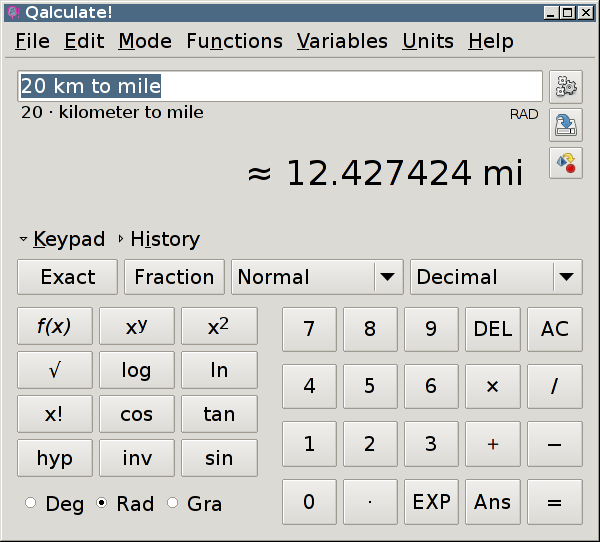 Over the past few years I acquired a bad habit of using search engines for basic calculations and conversions. 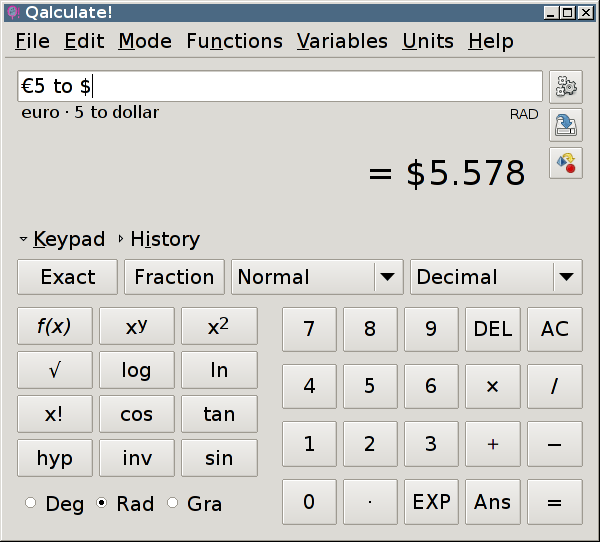 I’m not talking about the stuff you should just do in your head — not quite that bad, but about the fact that several Linux distros, including my favorite of Debian Xfce, don’t seem to ship with a calculator by default. So I finally got around to testing some programs and Qalculate! does all I want. 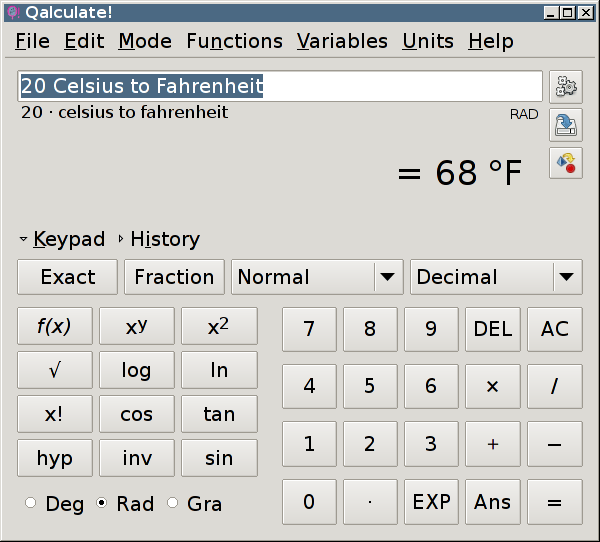 You can install it on Debian using sudo apt install qalculate-gtk. There’s a list of features on the website. Enjoy a few screenshots.